It’s finally here, boys and girls. 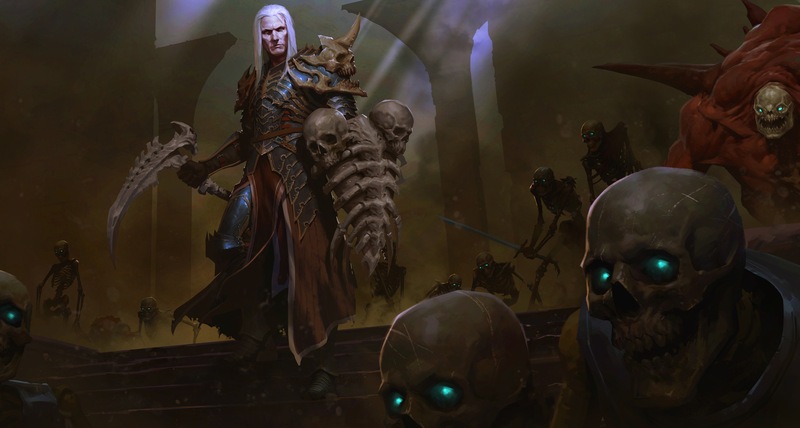 Fans of Blizzard Entertainment’s Diablo series have long-awaited the necromancer character DLC, and Blizzard has announced the wait will be over for all platforms on June 27th. Rise of the Necromancer lets you plays as an unlikely necromancer hero. The Burning Hells are invading Sanctuary, and it’s time to use your dark gift of controlling the dead to restore balance to the world. Necromancers, AKA the Priests of Rathma, are able to draw upon the power of blood to raise the carcasses of their enemies to do their bidding and wreak some serious havoc! And if you have yet to enjoy Diablo III, or simply want a convenient all-in-one digital pack, you can also pick up the Eternal Collection, which includes the Rise of the Necromancer pack, Diablo III, and the Reaper of Souls expansion for PlayStation 4 or Xbox One. The Rise of the Necromancer pack will be available for all platforms for $14.99, and the Eternal Collection bundle will be available on PS4 and Xbox One at a special introductory price of $39.99 (limited time).